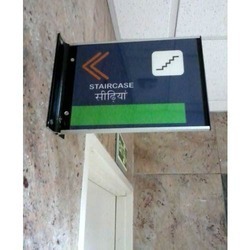 We are leading manufacturer and supplier of Directional Signage. Our offered products are Corporate Signboard, Advertising Signs and Outdoor Signs. We are instrumental in offering an exquisite range of Staircase Signage that is provided in varied sizes, designs and colour combinations. The signage offered is designed and manufactured, using utmost quality raw material and advanced technology in conformity with the latest market norms. Our range is used by the top brands companies and is highly appreciated for its attractive looks, smooth glow and long life. Owing to the expertise of our processionals, we have been able to offer our clients an excellent range of Reception Signage. With the edge of huge experience and classic interior designing sense, our expertise designers craft the signage and make it look exquisite leaves everlasting impression on your guest. Treasured for its superior finish and durability, we make accessible this signage in diverse sizes, designs and colour combinations in tandem with clients' specific requirements. 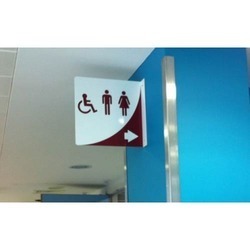 With rich industry experience and knowledge, we are offering a wide range of Toilet Signage. Our offered signage is designed and manufactured by our skilled experts by using top grade material and innovative technology. The offered signage is well known as informatory signage & is commonly fixed at the door of the toilet or bathroom. 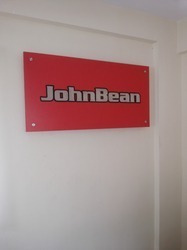 Customers can avail this signage in numerous sizes & customized options as per their requirements. Looking for Directional Signage ?